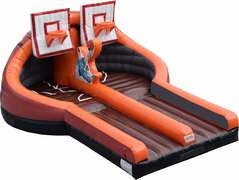 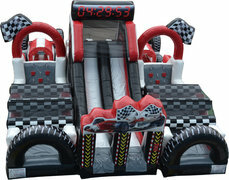 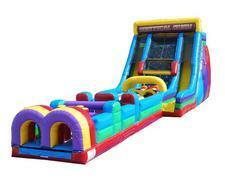 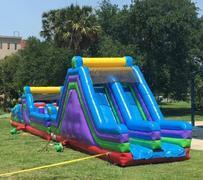 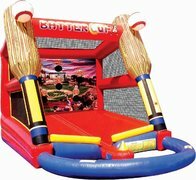 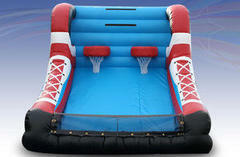 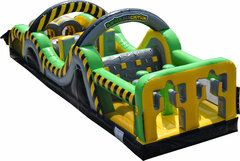 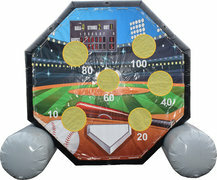 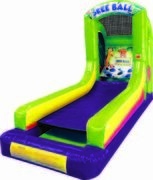 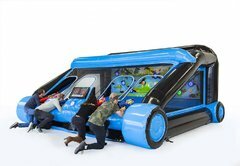 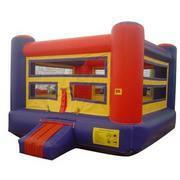 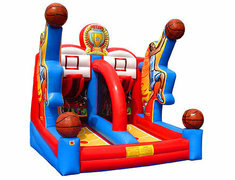 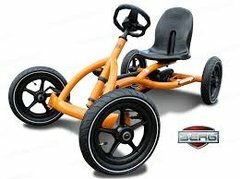 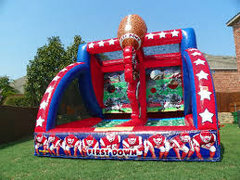 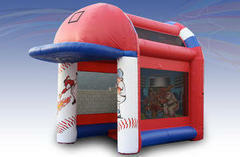 About to bounce inflatable rentals offers a large variety of interactive rentals. 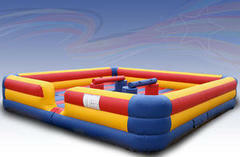 We offer joust and boxing rings. 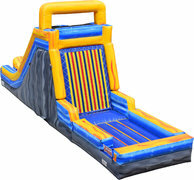 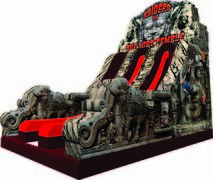 We offer a large variety of bungee runs. 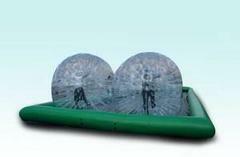 We also offer the wrecking ball and the Zorb-hamster balls. 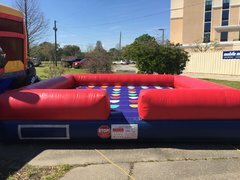 Our velcro wall is a big hit at any school field day function. 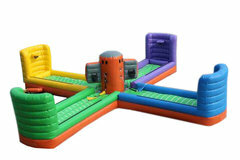 Our pony hops derby offer a 4 player game for any event rental. 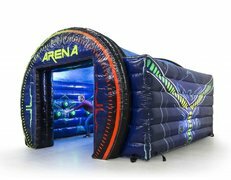 About to bounce also offers a laser tag arena for up to 10 players. 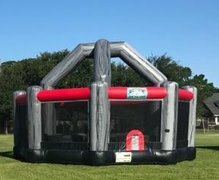 And never forget our 500 gallon dunk tank rental. 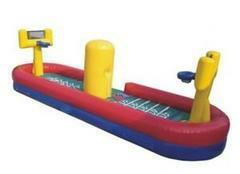 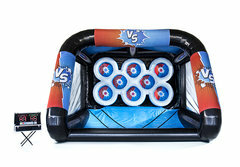 And for the sports lover we offer a inflatable fooseball field for 10 players. 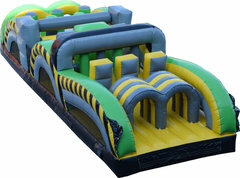 We also offer a wipeout ball run that test balance and skill as you run across the balls. 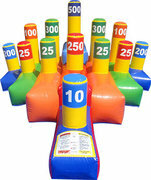 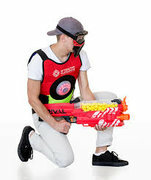 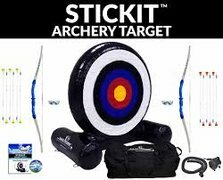 And for the little ones we offer a mini high striker for your church event.